This will be the first of two matchups between the ranked rivals, with this game being held in Houston. They meet again in the final game of the regular season in Cincinnati on March 10. Game of the day in college hoops is in the American Conference as Houston hosts Cincinnati. Both teams have a combined record of 42-4. Nobody said winning had to be pretty. The Bearcats are 20-3 overall this season, dropping games to Ohio State, East Carolina and Mississippi State. The Cougars are 22-1 outright, with their only loss coming to Temple. 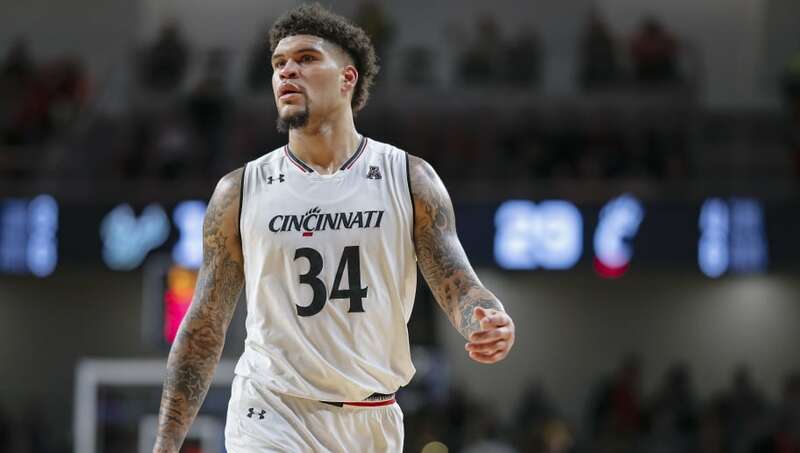 ​Mick Cronin's Cincy team has been led by the play of Jarron Cumberland who is averaging 18.6 points, 4.1 rebounds and 3.6 assists per game. He's shooting at a 41.9 percent clip from beyond the arc. UH's duo of Corey Davis Jr. and Armoni Brooks have been key to success this year. Davis Jr. is averaging 15.5 points, 3.3 rebounds and 3.0 assists per game while shooting 35.3 percent from deep. Brooks has posted 14.3 points per game, alongside 6.2 rebounds. ​Kelvin Sampson's Houston squad enters the game as 4.5-point favorites on their home floor, and will be looking to separate themselves as the No. 1 seed in the American conference. The matchup is set to tip off at 4 p.m. ET and will be broadcast nationally on ESPN. Streaming is available on WatchESPN and the ESPN app. Further streams will can be found via Reddit on the ​NCAA Basketball Streams subreddit at ​this direct link.